It is so, so important to get to the rabbit show early. 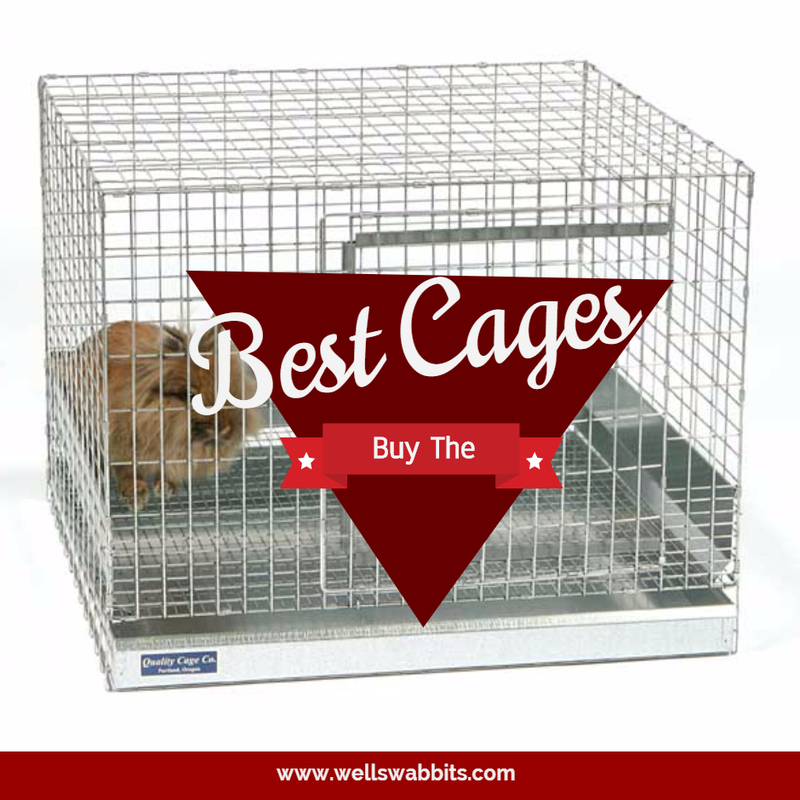 The spots to spread out and place your rabbits fill up quickly, so it’s important to get there in enough time to pick your spot and get setup before everyone else gets there. Plan to arrive at the show early. You have a lot to do before the show starts! 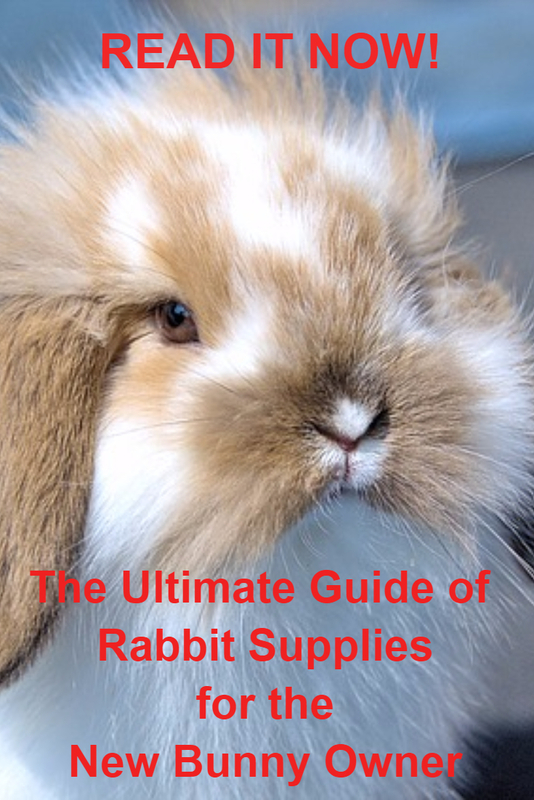 Before you even unload a single rabbit, go inside and get the layout of the land. Note where the judging tables are, and which table is judging your breed, if they have it listed in advance. Some shows will, some won’t. I like to try to set up at least on the side of the building where my breed will be judged so that I know how close they are to calling my breed next. I made the mistake one time of being in another building from where my rabbits were judged because I got to the show too late to setup on the right side, and I was exhausted running back and forth all day to see what breed the judges were judging. I also like to setup near people I may know so that we can chit-chat throughout the day. If I’m bringing a rabbit to sell, I like to try to setup where the flow of traffic will see my “For Sale” sign as they’re walking by. 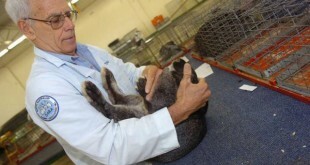 You don’t want to be tucked back into a corner if you have bunnies to sell! Once I figure out where I’m going to sit, I try to get my vehicle as close to the entrance as I can so that I can unload my rabbits. My kids go with me and are teenagers, so we bring a truck dolly, and put the cages on it. And, we unload whatever else they can carry, and then they wheel the rabbits inside and setup while I go find a place to park. Extra trips to the car are much easier once you get that initial big load unloaded. The key is to get the bulk of your stuff unloaded and try to move your vehicle as quickly as possible. Everyone else attending the show will be trying to do the same thing! Once we’ve picked out where we want to setup, I like to get my grooming table and chairs setup first, and then I like to lineup my carriers on the side of the space I’m in with my rabbits towards the front so that I can keep my eye on them from afar if I’m walking around. If someone is standing by them, I can see if they’re messing with them or not. 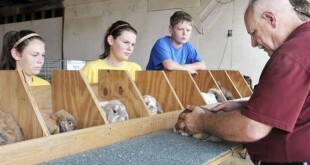 Once you have everything unpacked and setup, go see the Show Secretary so that you can get your rabbits checked in. You’ll pay any fees you haven’t paid yet, add late entries, scratch existing entries, and make ear changes if you’re substituting a rabbit. 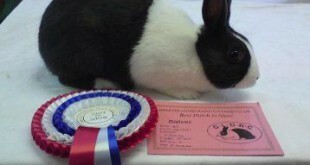 If you are entering your rabbit the day of the show, you will need to fill out a little bit more than everyone else. If you have software such as Evans or BunnyTrails, they have a Show Entry Form that you can use so that you can have them filled out in advance. The Show Secretary will also have forms there that you can fill out manually as well. You will also need to fill out comment cards. 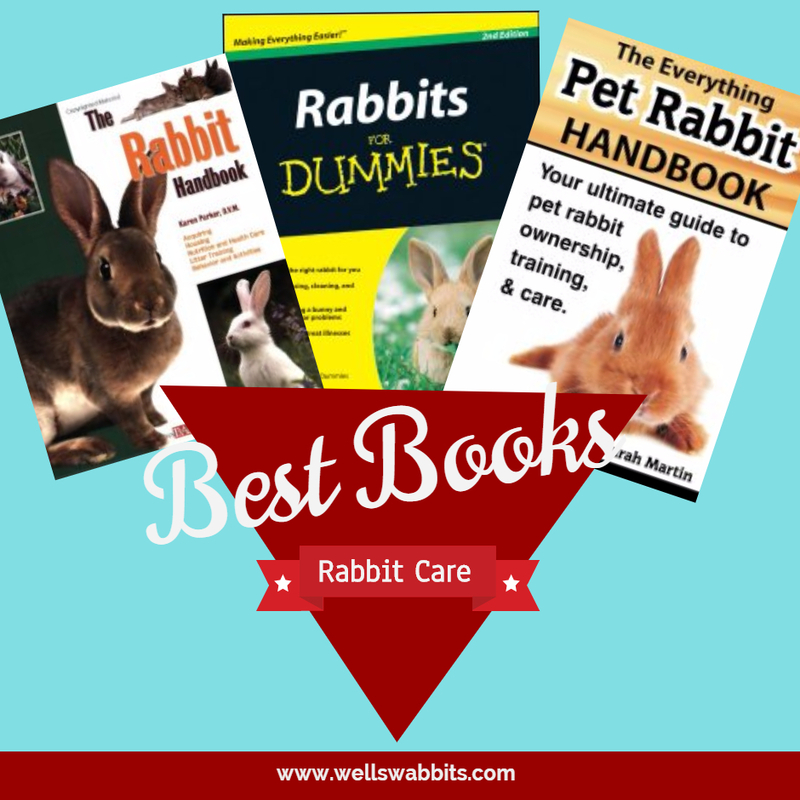 You will complete the top part of the comment card for each rabbit. You will fill out a separate one for each show into which you’re entering each rabbit. So, if you’re filling out the comment card by hand for Show A and Show B, you’ll fill out two comment cards. They are two-ply carbon copies – one copy for you and one for the Show Secretary to file. If you’re entering more than one rabbit, you will want to print the comment card information out on labels before you come to the show. You’ll need two copies for each rabbit for each show you enter. (Two labels per comment card since the carbon copy won’t automatically be filled out.) So, one rabbit entering Show A and Show B will need four labels. If you’re showing rabbits, all of your rabbits must have a tattoo in their left ear. If you don’t have the equipment to do this yourself at home, there is always someone at the show who can do it for you for a small fee. Usually, they’ll be setup with a little card table and will have a small crowd standing around them while they’re tattooing someone’s rabbit. Tattoos should be touched up periodically if they are faded. I would suggest using either plier type or electric type tattoos. My personal favorite is the electric type which is very similar to a tattoo that an artist would use at a tattoo shop. I think electric tattoos stay on longer, and they are easier to read because they basically look like someone wrote in the ear with a Sharpie marker. 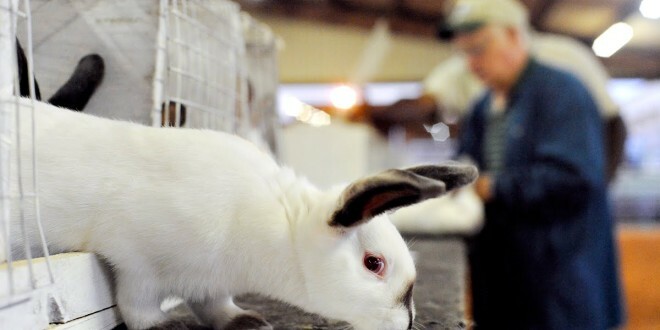 That’s about all you need to worry about before the show starts other than making sure that your rabbits have been groomed, toenails clipped, and sprayed with a bit of water to make their coats extra shiny. 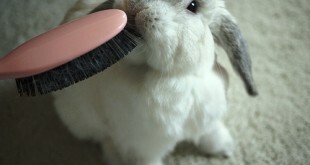 Next up, How to Groom Your Rabbit.